Achi really likes when I'm productive. Sometimes no matter how hard I try, I just can’t seem to get the motivation to do anything productive. I can make to-do lists and download productivity apps, but if the drive to complete my tasks isn’t there, I probably won’t get much done. 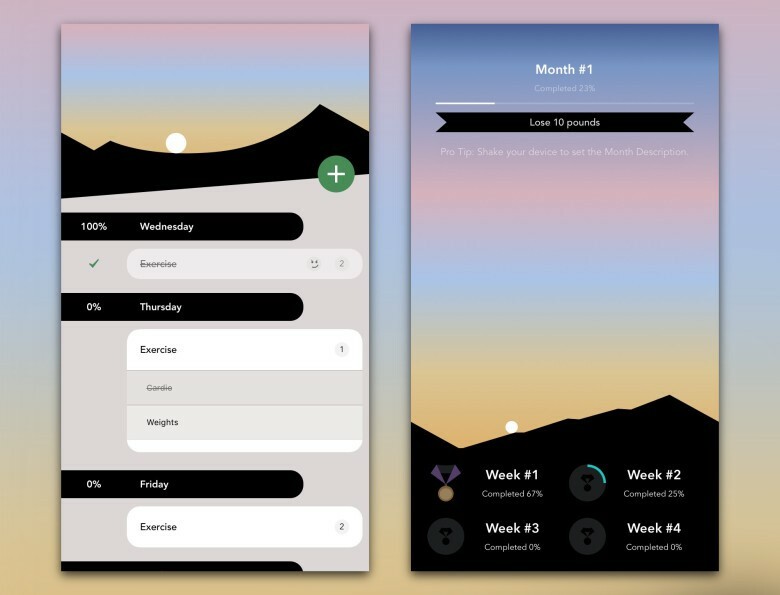 A new app called MotivAction recognizes the real problem of lacking motivation and offers some guidance by combining a to-do app and motivational game in one. 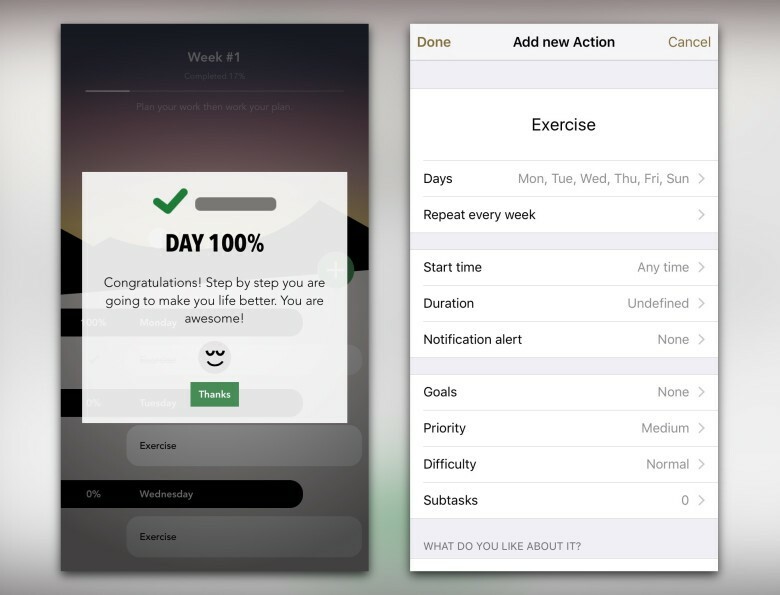 MotivAction focuses on taking one week at a time. Ideally, I’d open the app some time toward the end of the weekend and set all of the tasks I want to complete during that week. Don’t worry, you can specify them by day and repeat them too. Then when the work week begins, it’s time to get the ball rolling — literally. MotivAction lets you look at a month’s worth of progress too. When I first launch the app, it explains that completing my tasks and goals every week is actually beneficial to something other than myself. 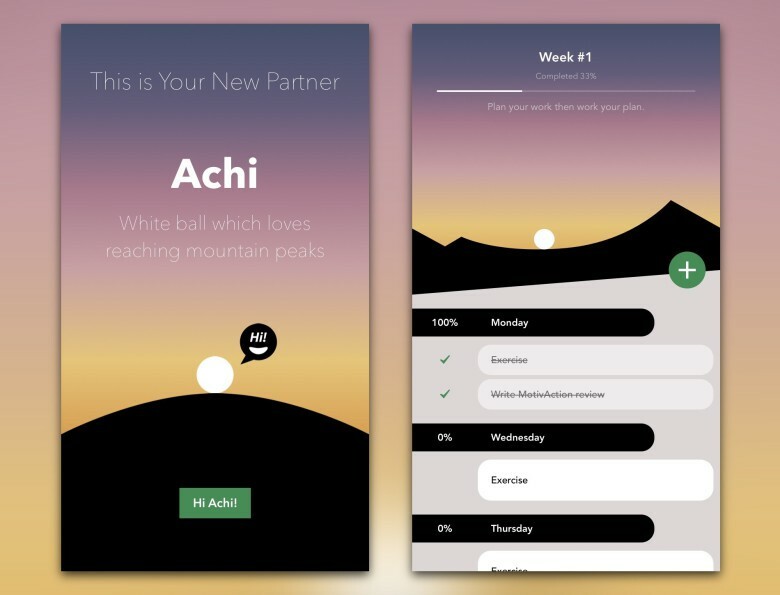 The small white ball named Achi that stays at the top of my to-do list really likes mountain peaks. As I complete my tasks during the week, the ball will roll closer and closer to the top of the peak and reaches its destination only when I finish 100 percent of my list. Since a digital ball isn’t capable of real emotions, it acts as a playful visual of how my progress is going. I can interact with a task in a number of ways and the app will always provide feedback. To complete a task, slightly swipe right on it. However, I can swipe even further across to delete the task if I’ve just given up on it, or skip it if I no longer need to complete it. Tapping and holding it grants the ability to edit the time, due date, subtasks, goals and more. Badges and encouraging words: positive reinforcement for my setbacks. Regardless of what I choose, MotivAction will either cheer me on or forgive me for slacking off, but ask me to either promise to get it done next time or give up entirely. It’s all positive reinforcement. If I swipe left on a task, I can rate your perceived motivation for getting it done. I can choose anything from “rock out” which means I’m super into it, “no problem” which means it can be done but I don’t care much about it, or even “I can’t, I’m so tired.” Once again, MotivAction will swing in to try and save the day, offering advice on how and when to complete the task if it’s super necessary. When I chose “I can’t, I’m so tired.” for exercising today, the app told me to “just focus on the beginning and the rest will go well” and suggested I sacrifice my desire for pleasure in exchange for success. As you can see, it’s a drastically different approach from the Carrot To-Do app, which basically insults your entire being every time you slack off. MotivAction stays positive at all times and I found that it kept me really positive too and less overwhelmed about what I had to get done. Tasks and goals are highly customizable. 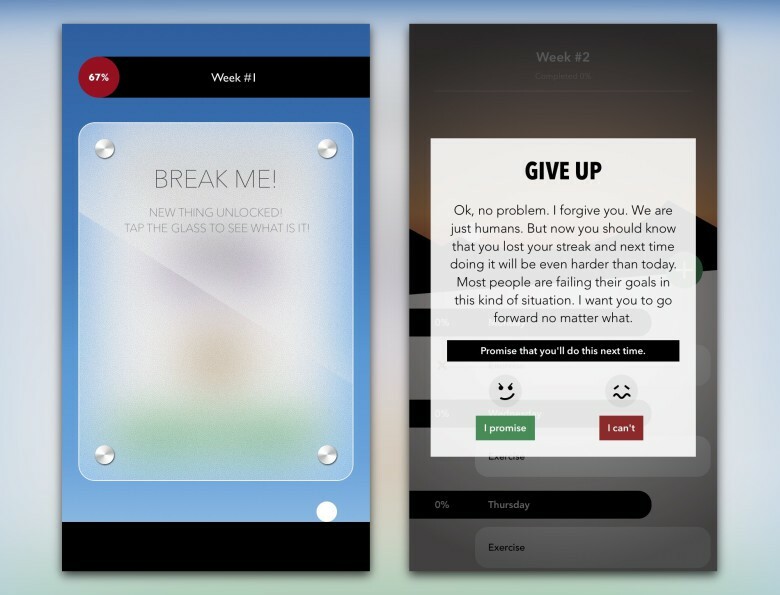 The design of the app is extremely well-done from the progress visuals to the reassuring messages of support when I’m falling behind or feeling lazy. Plus being able to add individual goals and subtasks is a godsend. Even the process of adding a task has several features for editing repetition, duration, detailed goals and priority among other things. MotivAction is nothing short of a phenomenal productivity app and one of the best I’ve used to date. For a limited time it’s 50 percent off in the App Store, so just $4.99, and it’s worth every penny.